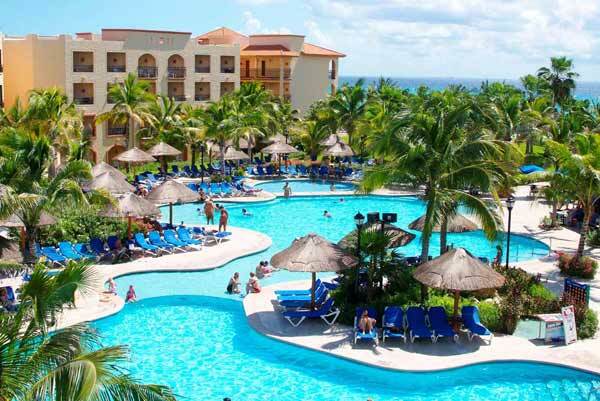 Sandos Playacar Beach Experience Resort is an all-Inclusive hotel in Playa del Carmen with both family and adult sections. 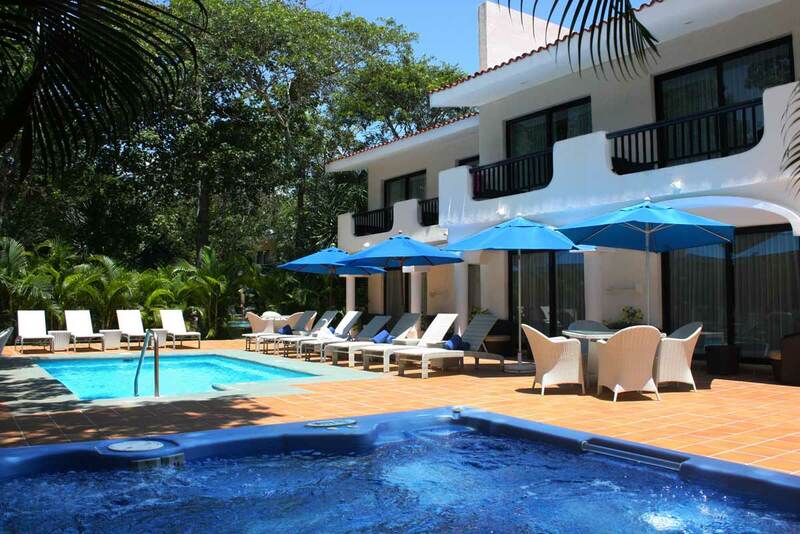 We are ideally located on a magnificent white sandy beach in the gated community of Playacar, within walking distance to downtown Playa and Fifth Avenue. 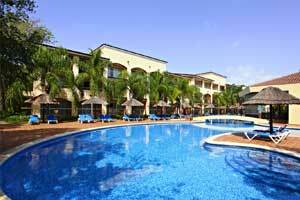 Sandos Playacar Beach Resort & Spa is located only forty-five minutes from the Cancun International Airport, and the pier serving ferries to Cozumel is a short distance from our property. 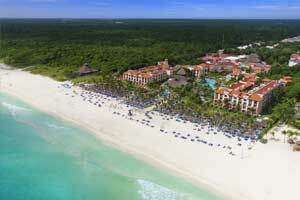 Playacar is a private, master-planned community situated on the southern edge of downtown Playa del Carmen. 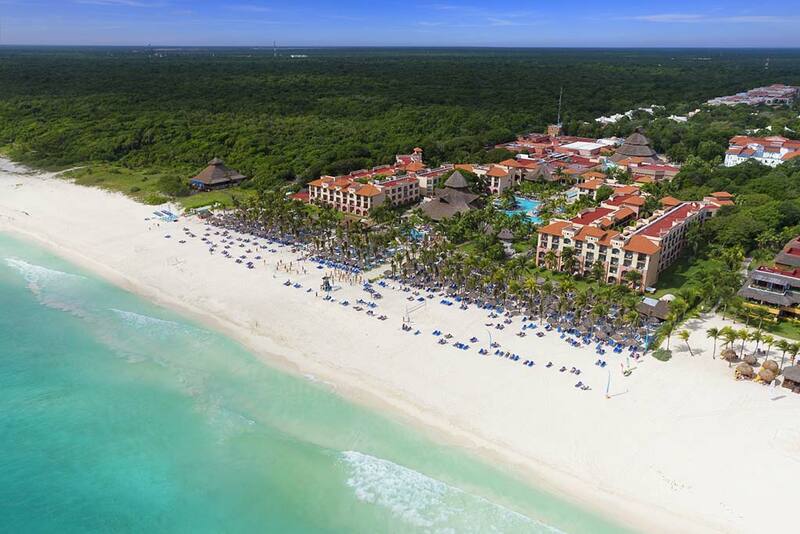 Guests at Sandos Playacar Beach Experience Resort enjoy this exclusive community’s impressive infrastructure, including an 18-hole golf course designed by Robert Von Hagge, the Xaman-Ha Aviary, pristine biking paths, and Mayan ruins, accessible to the public for hiking. Riviera Maya is a protected region where many remaining artifacts from the fascinating Mayan civilization can be found. 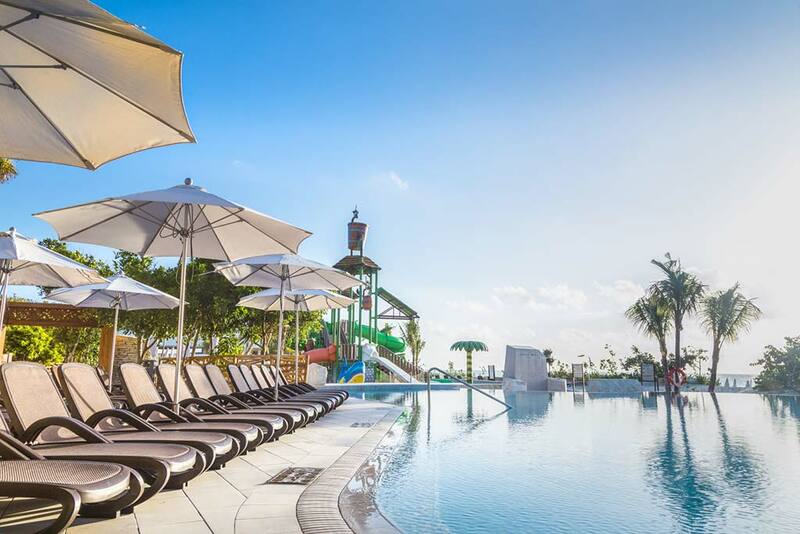 Surrounded by Mayan archeological zones, such as those at Tulum, Coba, and Chicen-Itza, this Playa del Carmen hotel successfully preserves a strong sense of Mayan culture onsite, adding an authentic feel and flavor to the vacation experience in Playacar. 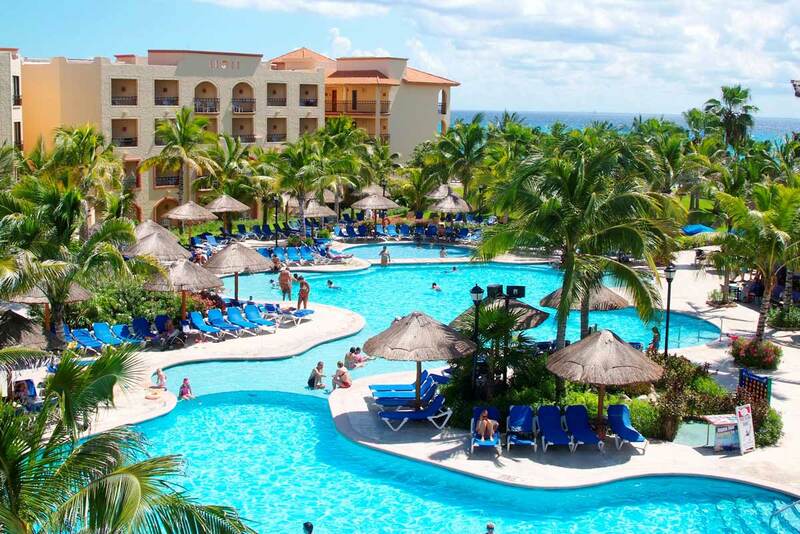 Located in the exclusive development of Playacar, Sandos Playacar is a 4-star beachfront all-inclusive resort and spa surrounded by the Natural Wonders of the Caribbean. At the heart of the Mayan Riviera, a protected area which still contains many traces of the fascinating Mayan civilization. Our wide and extensive stretch of white sand beach lies next to the calm and clear Caribbean Sea: one of the best beaches in Playa del Carmen! 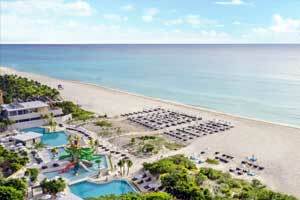 Here, you’ll find volleyball, sand castles, Zumba lessons and simple relaxation. 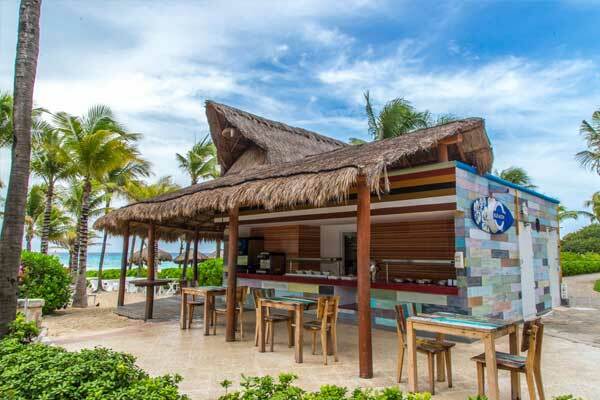 Agave Blue Bar offers beachside service with drinks and snacks in the mornings and afternoons. Food, drinks and the warm Caribbean sun, welcome to Mexico! 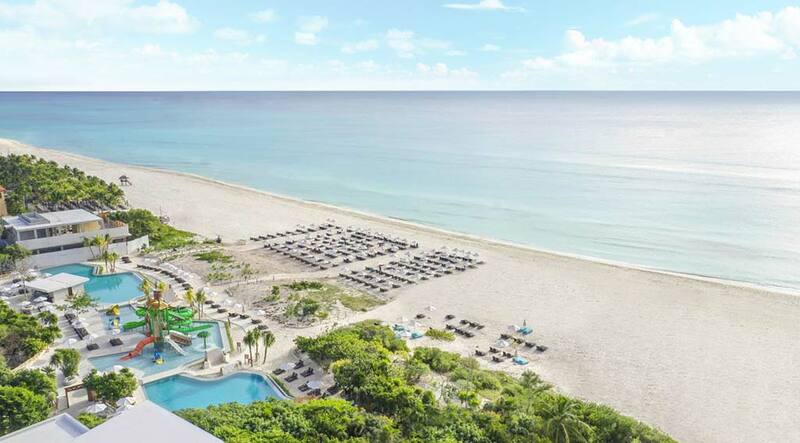 Adults staying at the Sandos Playacar Beach Experience Resort are presented with a collection of activities and services for a more private stay. From an adults only gourmet restaurant to our large Select Club pool and swim-up bar, you’ll find it easy to escape routine. 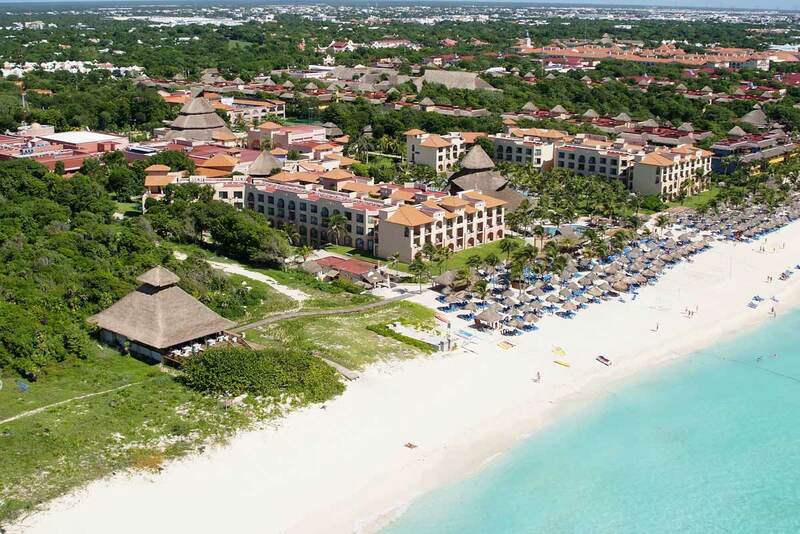 Situated on the southern edge of Playa del Carmen, the masterfully designed community of Playacar offers bikers, joggers and walkers the perfect spot to enjoy a stroll while admiring lush green jungle and Mayan ruins. A 10-minute bike ride will take you to exciting 5th Avenue, known for its restaurants, shopping, cafes and people watching. 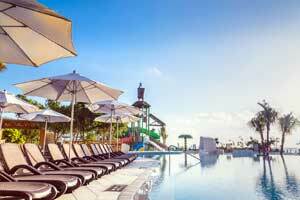 The resort’s assortment of family activities is sure to be enjoyed by all. Water, beach, nighttime and daytime activities come together to offer an unforgettable vacation experience. Our friendly entertainment staff is on hand each day to make sure the entertainment and fun never stop. Enjoy our fully equipped gym with modern Life Fitness equipment. The gym offers a variety of cardio and strength machines, spinning and yoga classes along with views of our spa’s relaxing hydrotherapy area. For travelers looking to get in some good workouts while away, this is the place. Children and young adults will have a chance to make new friends and have some fun while parents can head out on an adventure of their own. 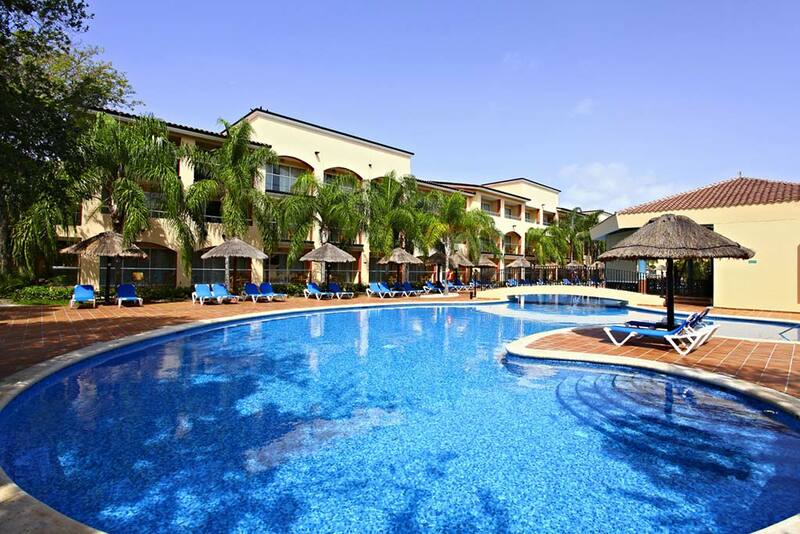 Each club is supervised by our trained and professional staff. Children will have a blast at the Kids Club with a playground area, a tree clubhouse, crafts, sports and more throughout the day. Meanwhile, teens will find their very own place to hang out with arcade games, video games, a soft drink bar and a dance floor. Step into luxury at Spa Sandos. This unique and environmentally friendly escape has relaxing health and beauty treatments created for spa enthusiasts. Indulge in any of our intriguing massages or spend an afternoon in our open-air hydrotherapy area. 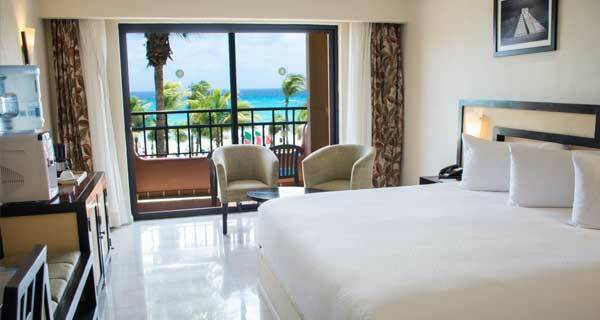 Sandos Playacar Beach Resort in Playa del Carmen has 819 rooms spread throughout four distinct sections, each flaunting its own unique Caribbean style and colorful experience. Water Sports Center with: Diving (Free pool demo, once per stay) Snorkeling equipment (1 hour per day), sailing* and kayaks (equipment included) * (*lessons not included, insurance fee applies). WiFi access on main public areas of the Resort. Theater for nightly entertainment and performance. Video Game room with, Wii, Xbox, & Play Station: Opened from 12 to 11 hrs.